All of us will eventually get there. One day, we will all reach our prime years and all the things we can easily accomplish when we were younger will somehow become a struggle. But then again, who says it has to be a struggle? For so many years, Unilab has brought us wellness through their products. And now, UNILAB brings us AgeWell Club the first-of-its-kind community in the Philippines that enables adults 50 years and up to be able to stay healthy, happy and active through activities and solutions that promote physical, mental, emotional and social well-being. Yes, it's a support system. Imagine being able to understand aging and everything that comes with it - the changes in your body, the rollercoaster of emotions you undergo and the desire to stay productive. Off course, there's the worry and excitement for what lies ahead. Yes, AgeWell Club will be your buddy in your journey to aging well. Pay the annual P1,000 pesos membership fee. This can be a one-time payment or in batches of three (3) amounts. The payment may be done through bank deposit or by paying cash during one of the monthly learning sessions. Essentially, being a member of the AgeWell Club means your journey to aging well is already covered. 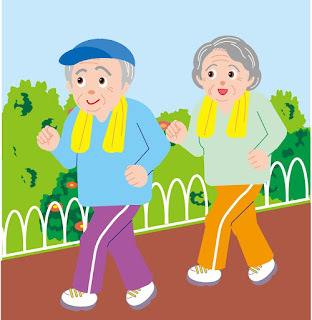 Not only will you get to meet fellow "seniors" but it will also ensure that your health and wellness comes first! "Aging is both a blessing and an opportunity, and it is only when we embrace aging that we truly enjoy living." Join now! Check out AGEWELL CLUB.